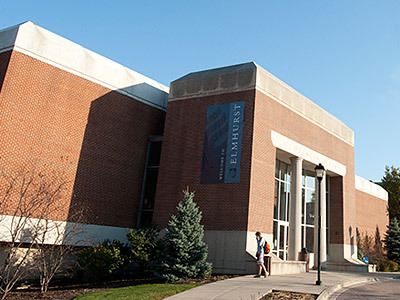 This weekend, the Elmhurst College theatre program and the A.C. Buehler Library will host a 24-hour “lock-in” project that will result in the creation of several new short plays. The project, called Plays Live/Live at the Library, begins on Friday evening, October 24, with students gathering in the library to meet and discuss goals and processes. The writers in the group will then lock themselves in the College library and spend the night writing 10-minute plays on the subject of minority. The following morning, the actors and directors will gather to prepare the new plays for performance. Teams will have the whole day to rehearse and stage the plays using found spaces in the library. The final products will be presented at 7:00 p.m. on Saturday, October 25, in the A.C. Buehler Library. The performance is free, and the public is invited to attend. For more information, contact Andrew Behling or Peg Cook.